A tangent to a circle at a point is perpendicular to the radius of the circle at that point. 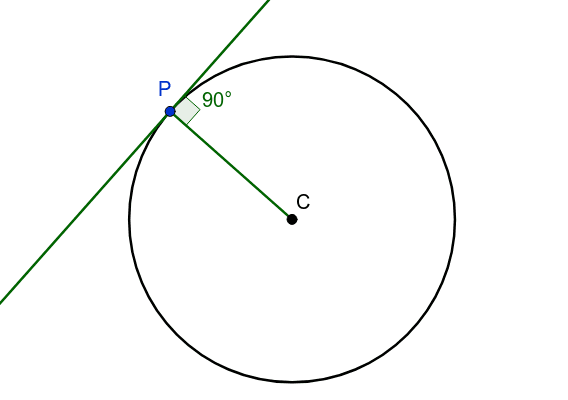 Move the point P around the circle to see that the tangent is always perpendicular to the radius. This construction demonstrates this circle theorem, but it does not prove it. Try to prove the theorem.